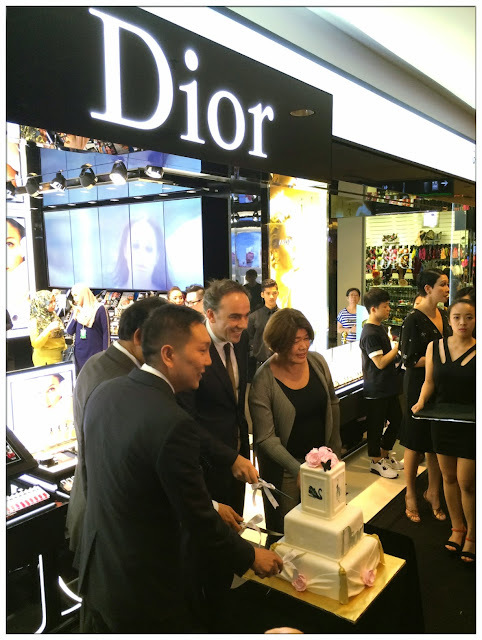 Dior Beauty Boutique has officially opened its first outlet in Klang Valley, it is such a good news to all the Miss Dior and Mademoiselle Dior around Klang Valley. I was too, happy and excited to be invited as one of guest to witness the grand opening of Dior Boutique MidValley yesterday, such an honour to celebrate another journey of Dior alongside with all the celebrities and guests that attended the event. 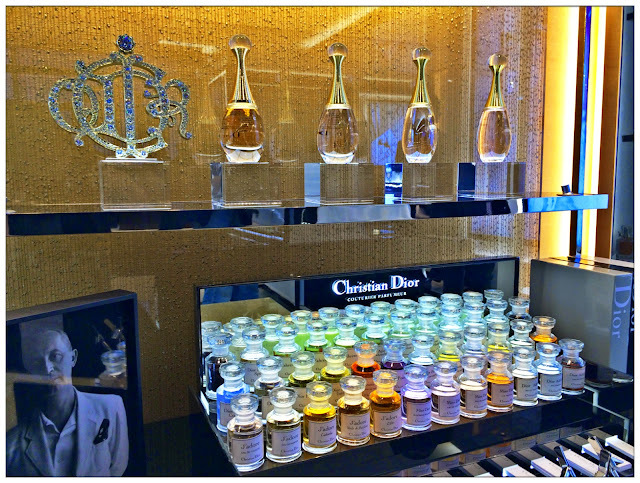 The interior of this Dior beauty boutique are designed exclusively by Dior's i.d team from Paris. It has different section to showcase all Dior beauty products that are currently in the market. 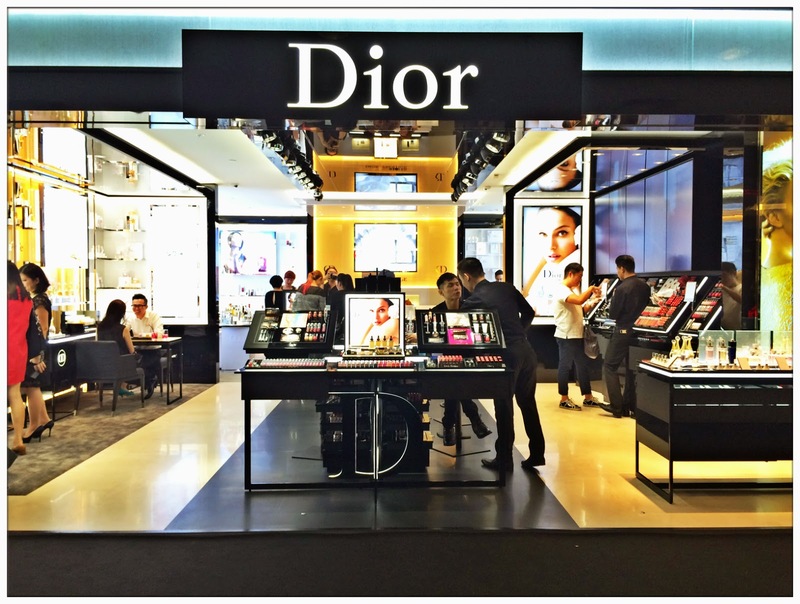 It gave me a full concept of Dior's products as well as all the details too. Thanks to all the helpful beauty and makeup trainer that's on the floor yesterday, I learned a lot about Dior and its products, and I just wanna have'em all! 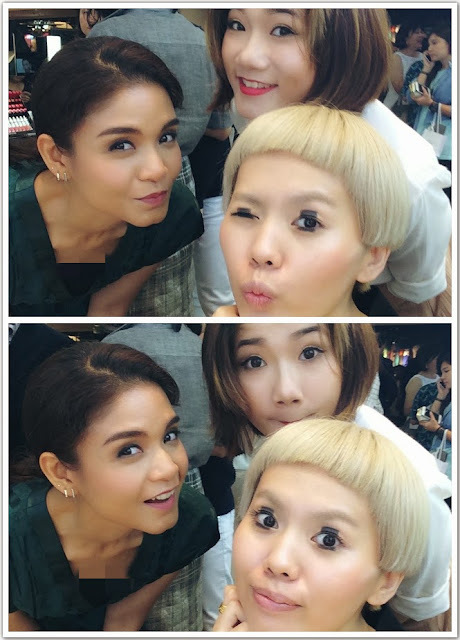 I was so happy to know that Lisa and Fatin were invited to the event too. We had so much fun trying out all the Dior products that catches our eyes. It feels so good to have friends who can give you honest advices and also recommendations when it comes to beauty products. 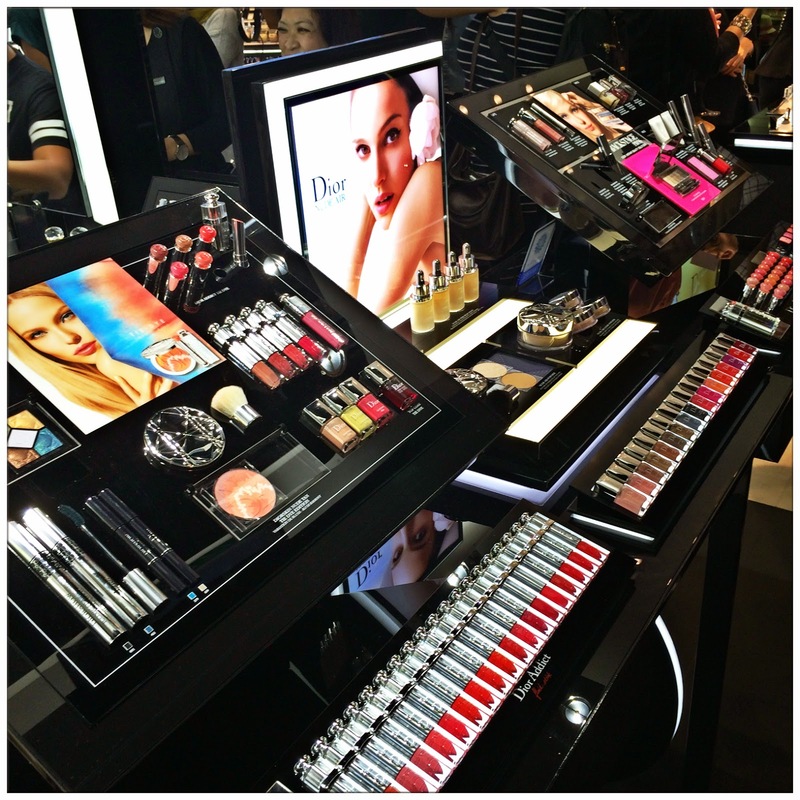 We were literally crazy about all the Dior lip colours and blushes! They are Oh-My-God so beautiful! 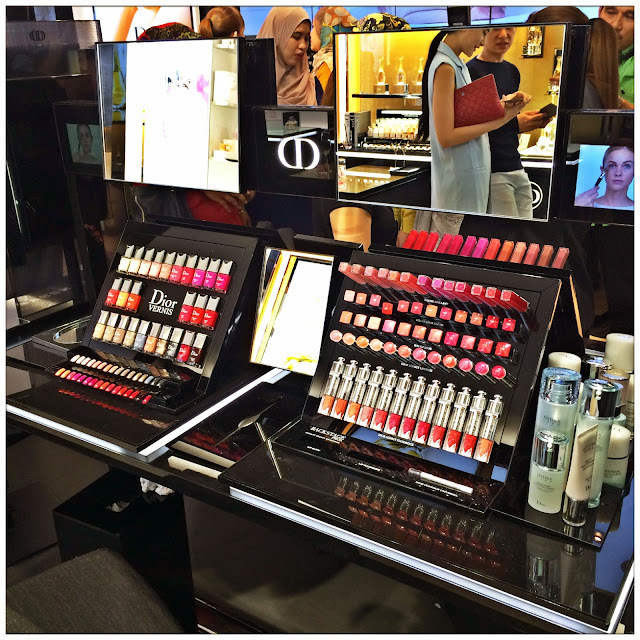 Can I have this back in my room? Gosh you have no idea I was kinda stressed about this event because I don't know what to wear! 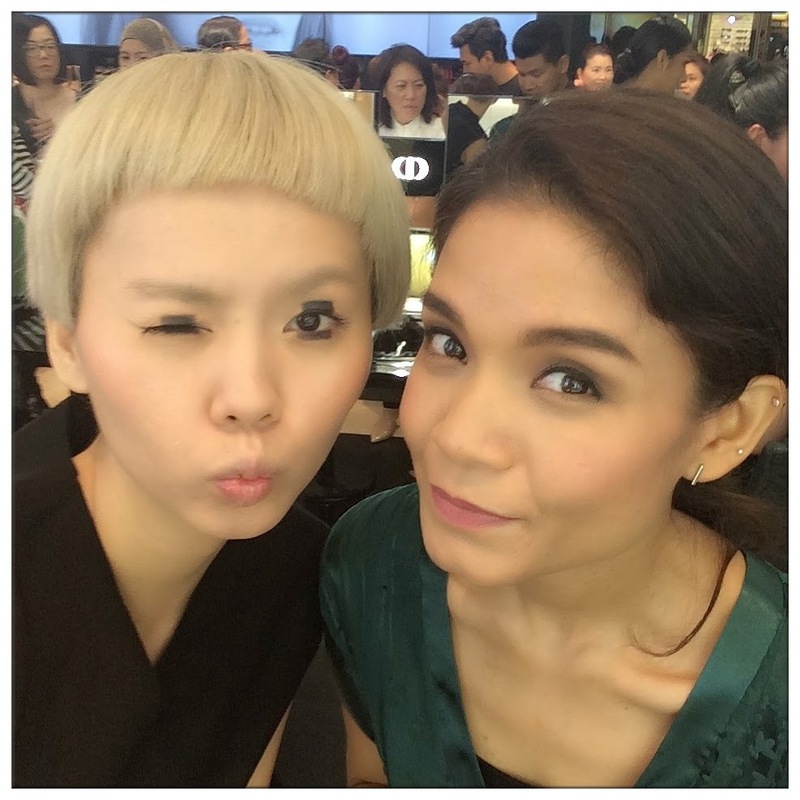 (And makeup of course) Thanks to HIDE for dressing me up in their latest Fall Winter 2015 collection, guests and friends at the event love my dress to bits! 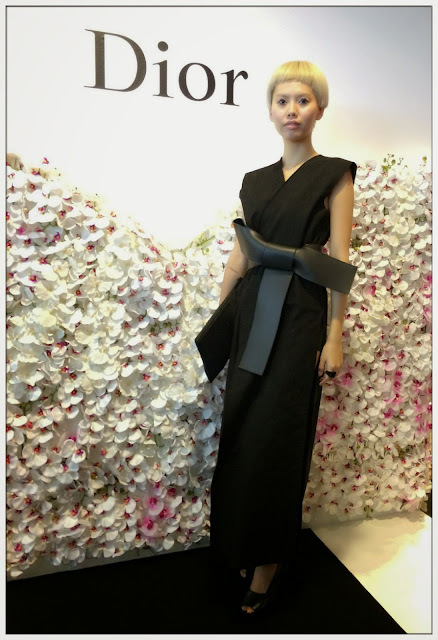 Me too love its simplicity elegant style. Thank you HIDE for the wonderful dress. 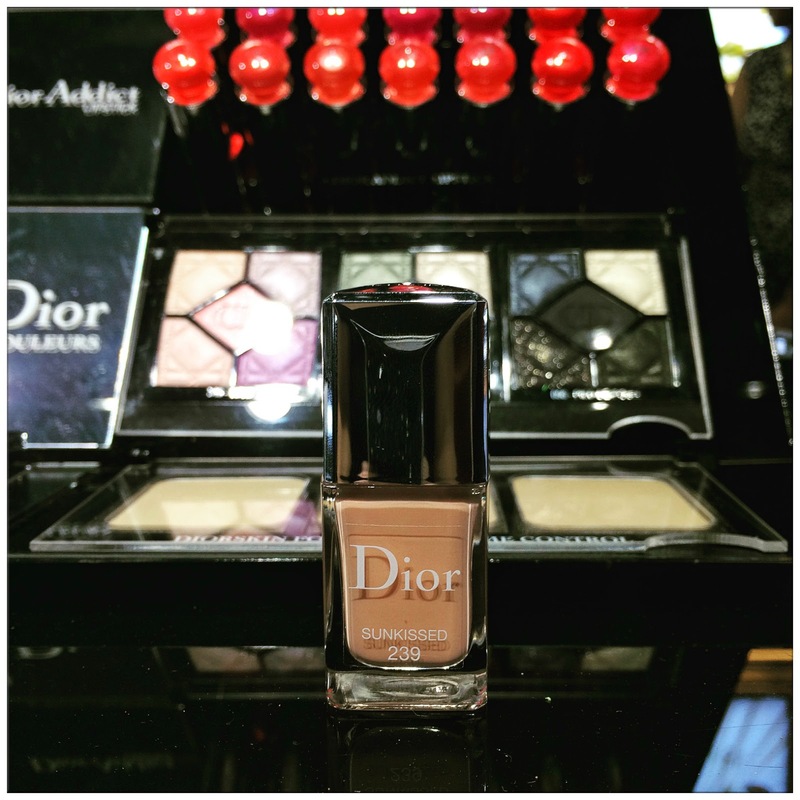 And also I only decided my makeup yesterday morning, after doing some research on Dior's 2015 looks. Apparently this is the Tokyo Pre-Fall 2015 show look that's futuristic and yet simple look, matches the theme of the HIDE's dress perfectly! 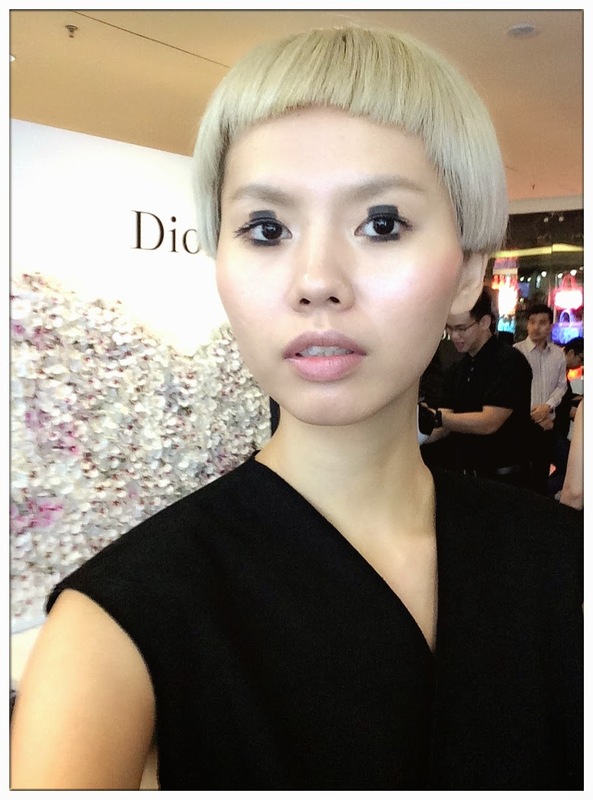 I was quite nervous when drawing the eyeliners on my eyelids and under-eye liners, but thank god I made it! 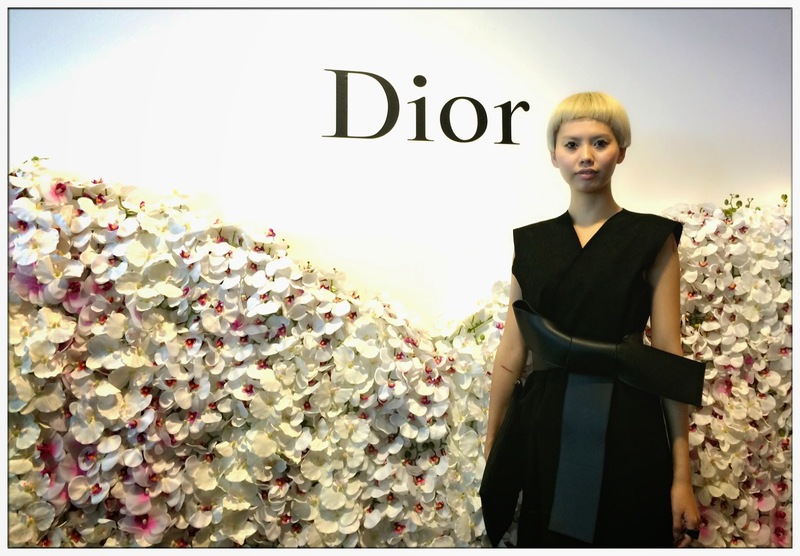 I had so much fun drawing and dressing up! Found my perfect lippie Dior! 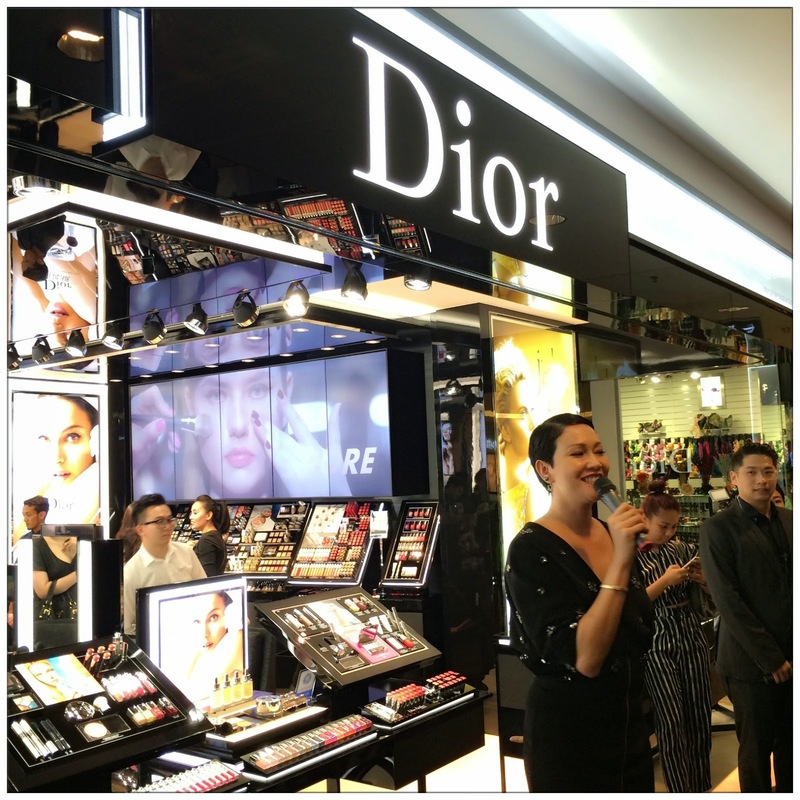 Do check out for more Dior Beauty Boutiques that are coming your way this year around Klang Valley! I had so much fun trying all the products and good chats with all the Dior staffs yesterday, they were all so kind, helpful and friendly! 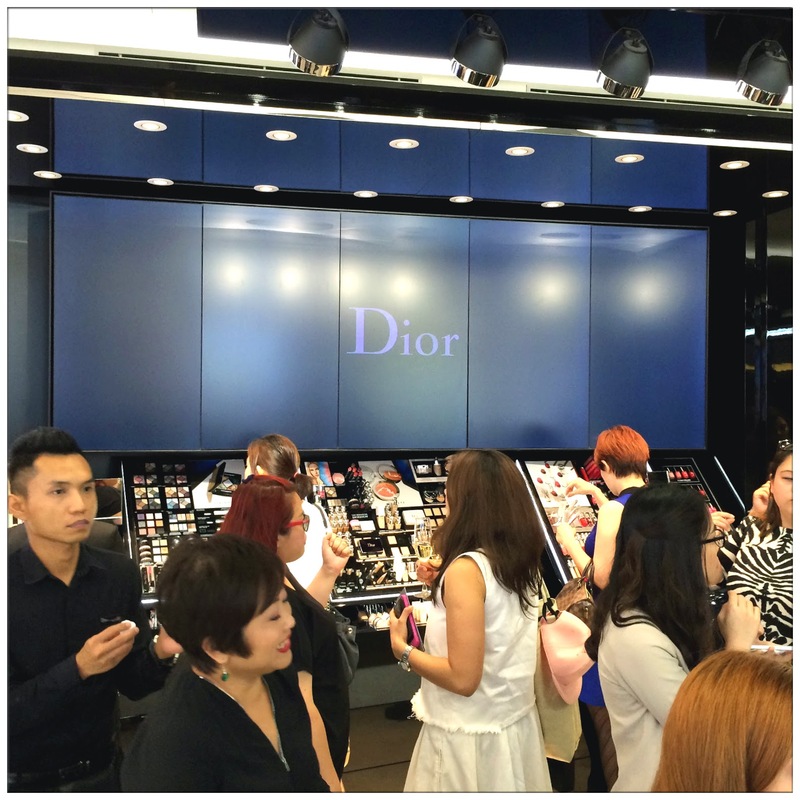 Do drop by at Dior Beauty Boutique if you happened to pass by one, you will love it to bits! 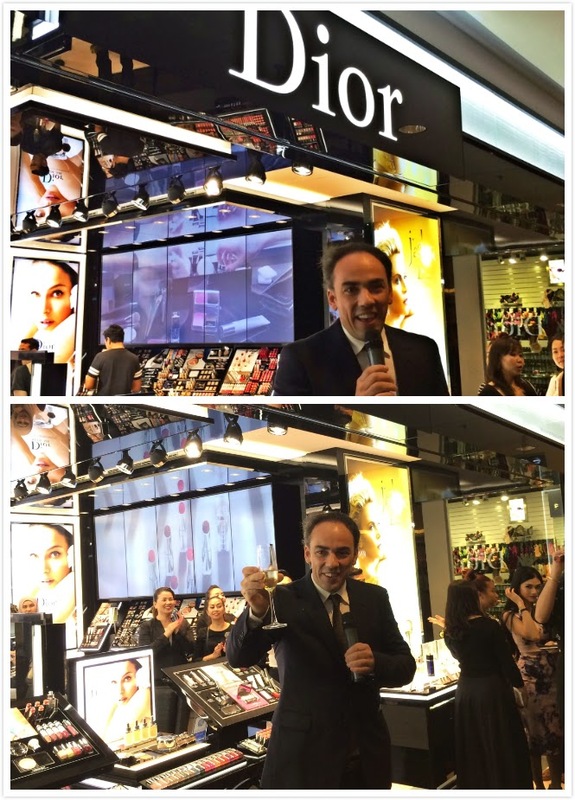 Thank you for having me Dior.